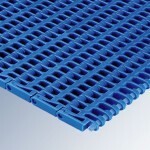 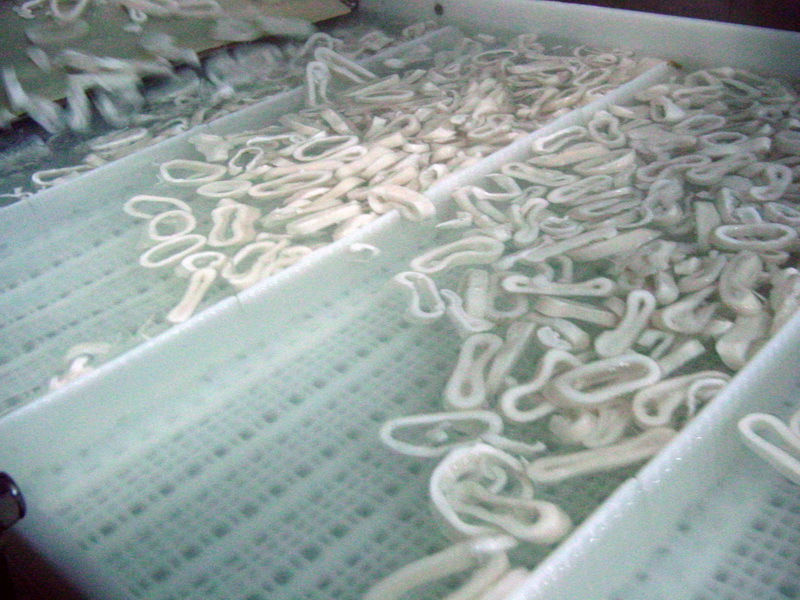 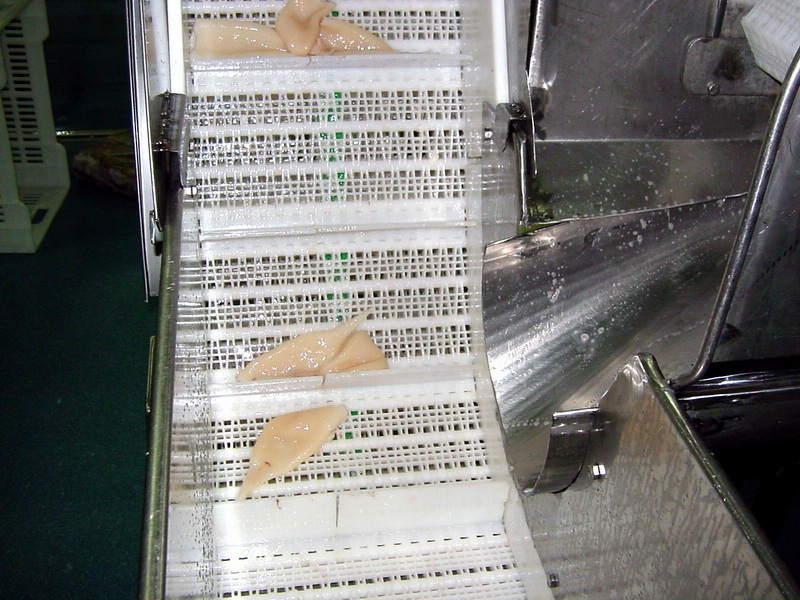 Some years ago the plastic modular belts implied a technical revolution in the seafood industry. 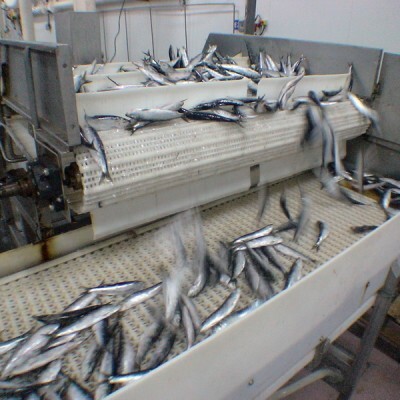 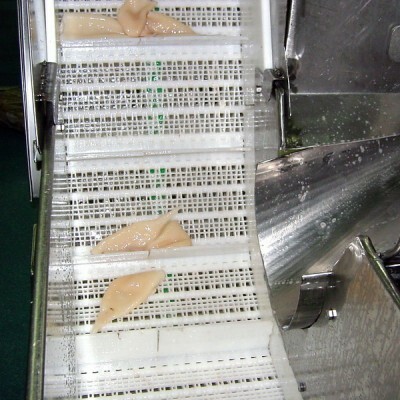 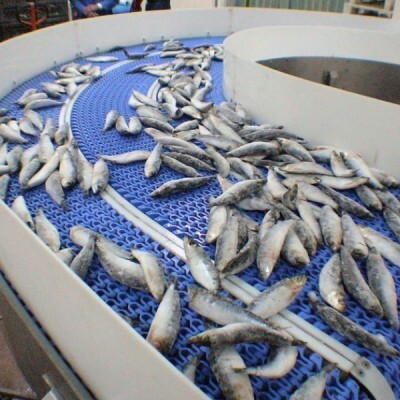 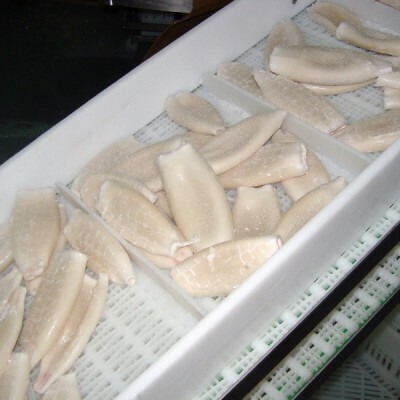 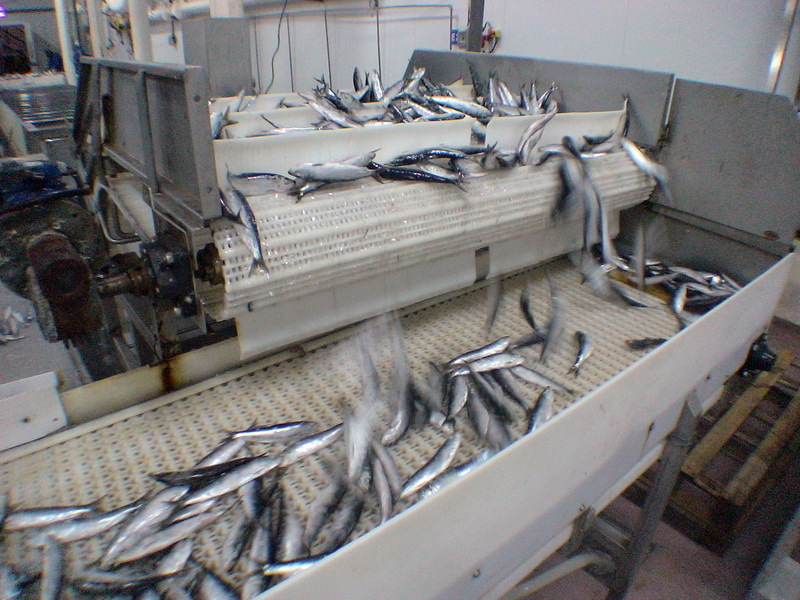 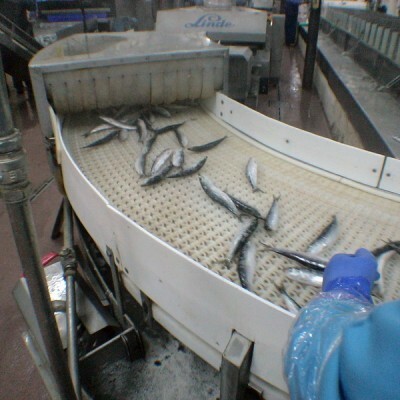 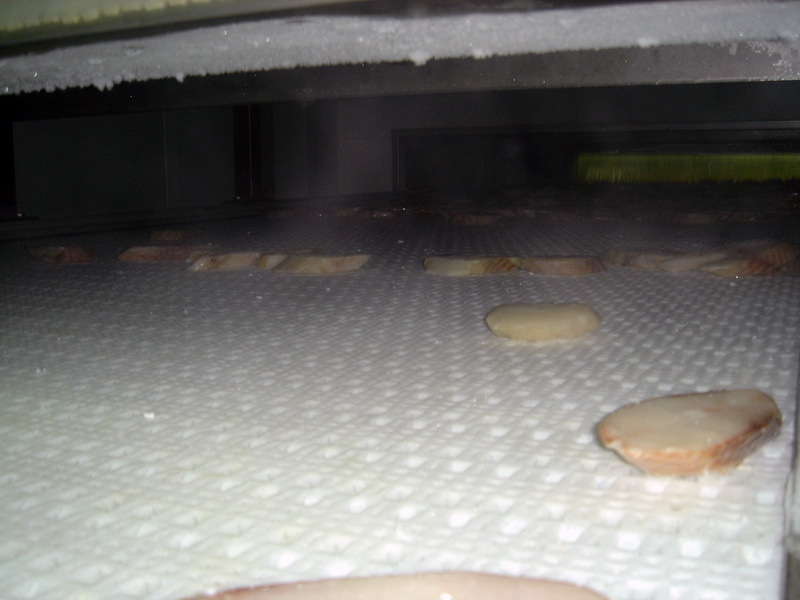 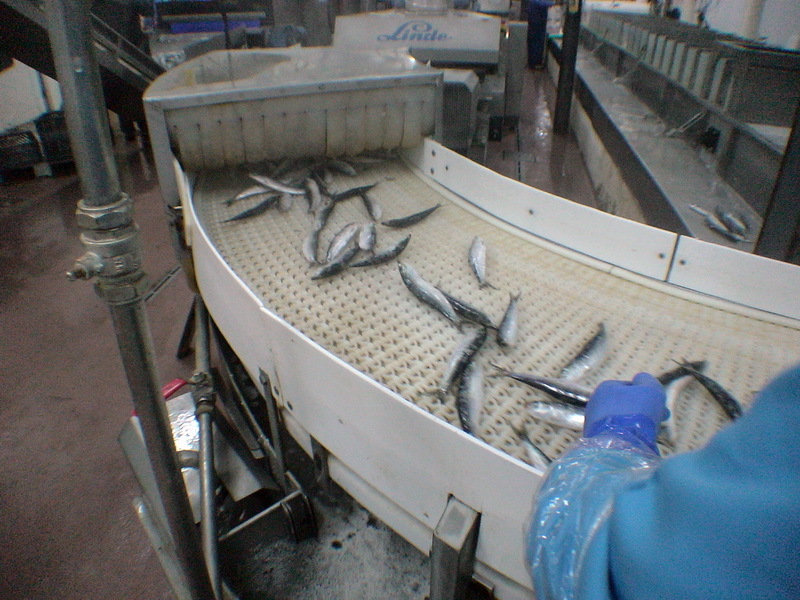 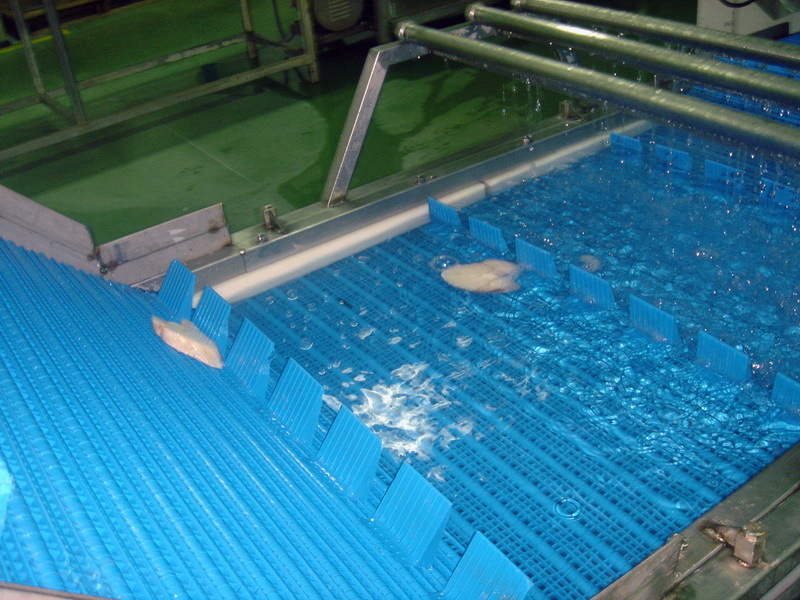 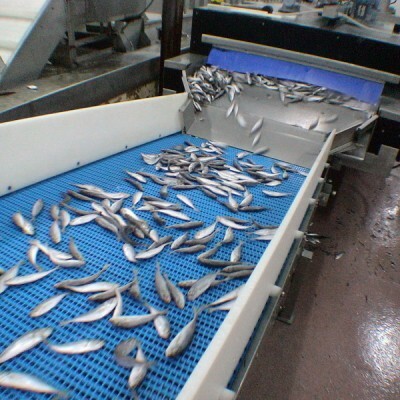 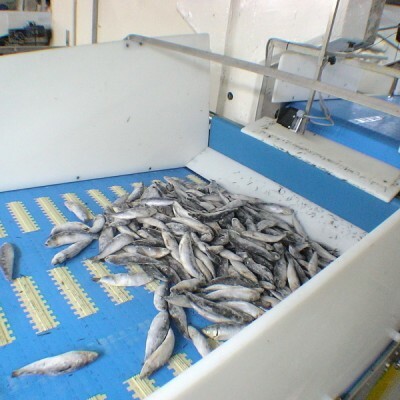 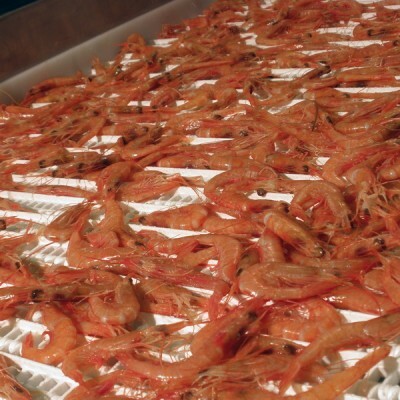 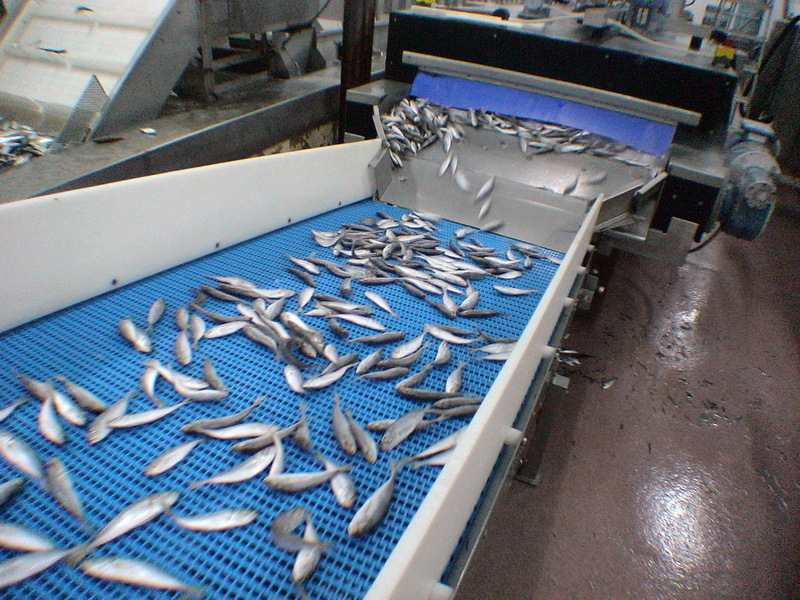 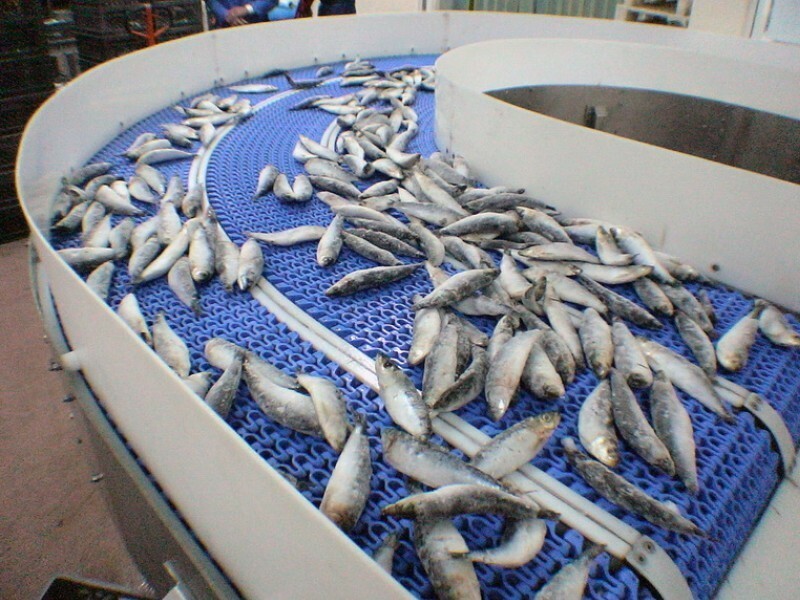 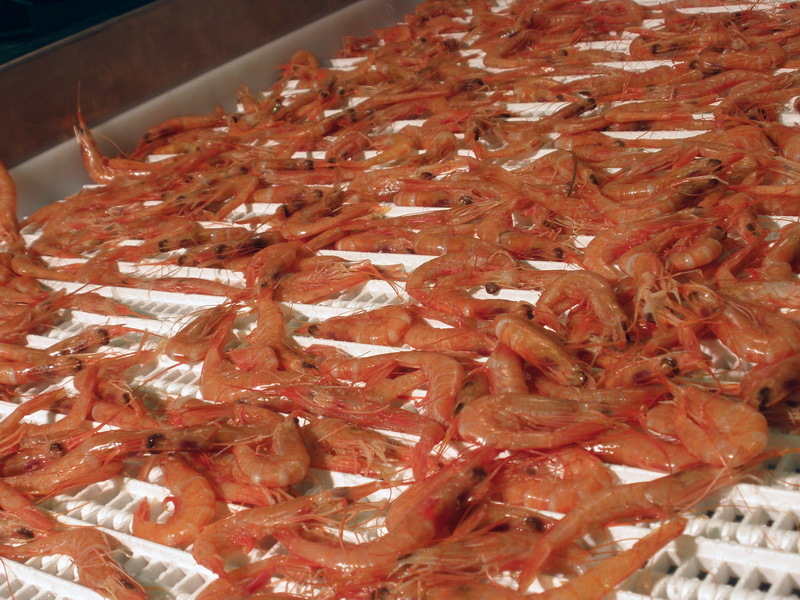 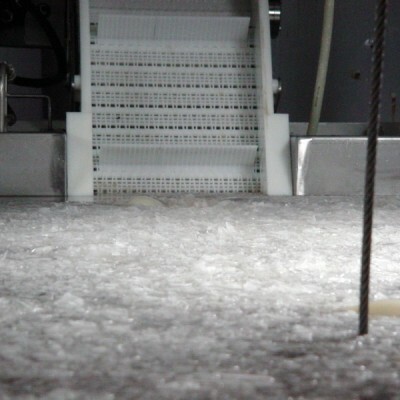 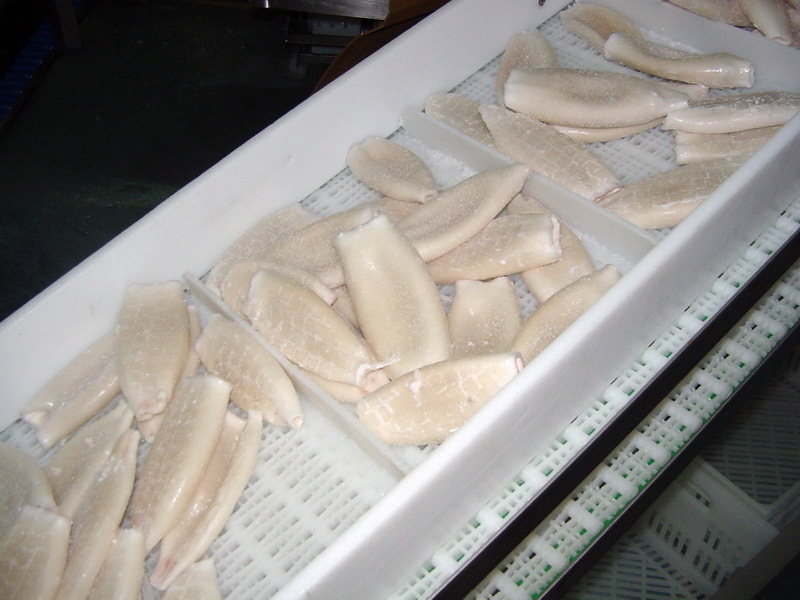 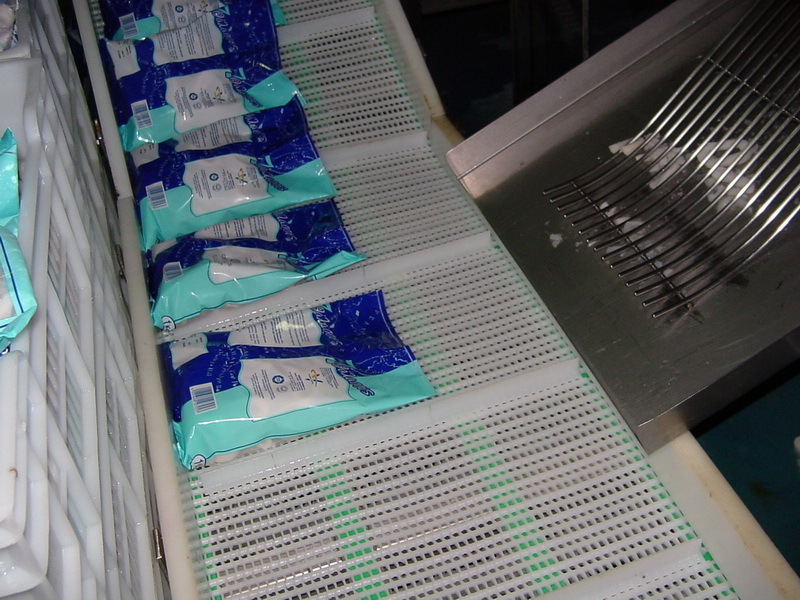 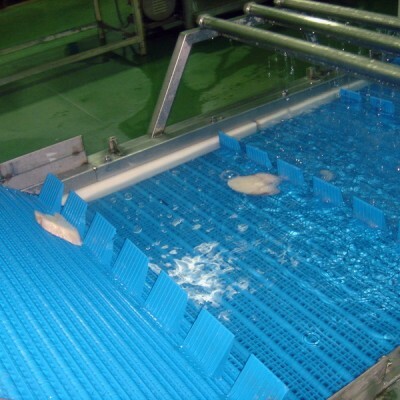 The conventional conveyor belts were very rapidly replaced due to tears caused by stones trailed together with the fish, or by the cutting tools used by processors. 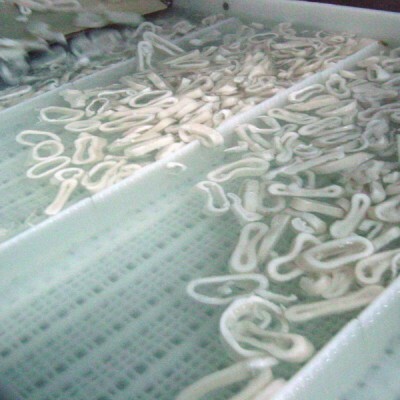 Every boat required a storage room to keep spare belts for every production line, as they could not be repaired in such a humid environment. 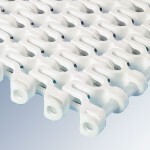 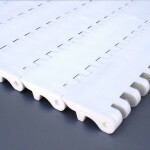 In land, the plastic modular belts will work in fish refrigerating rooms, without absorbing any water, flavour, or smell, solving adherence problems of the frozen product on the belt. 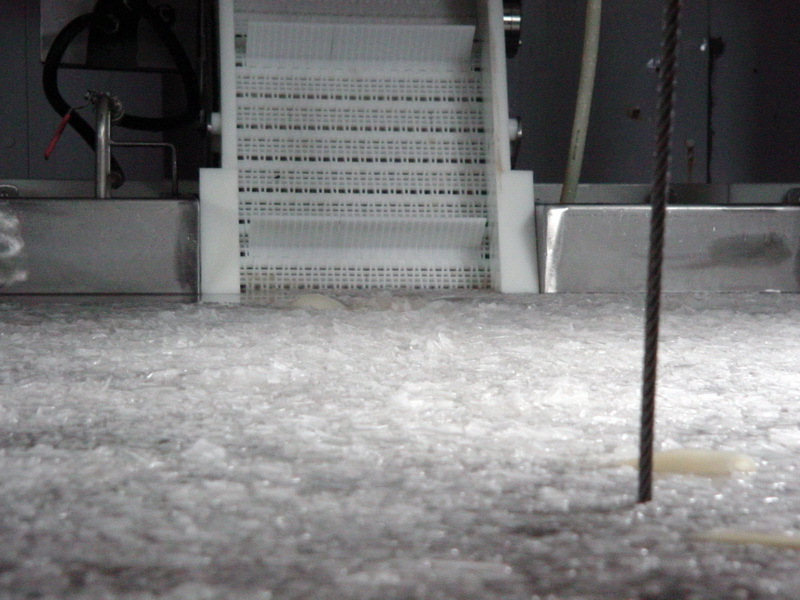 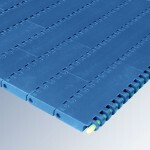 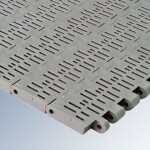 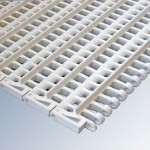 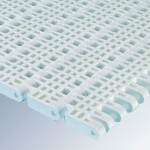 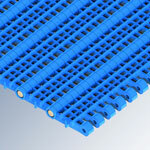 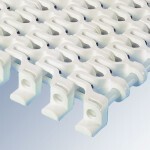 So, our OPEN GRID belts avoid the loss of product in the return way of glazing machines. 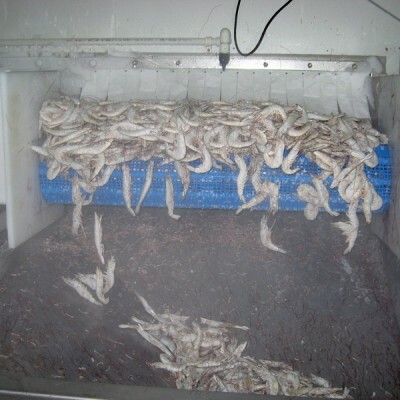 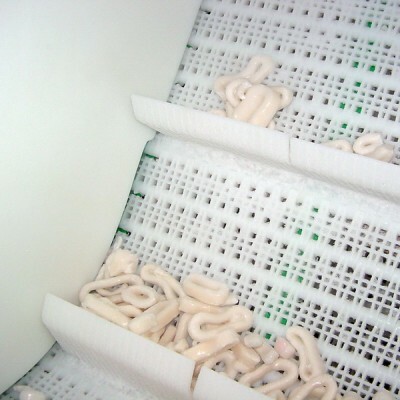 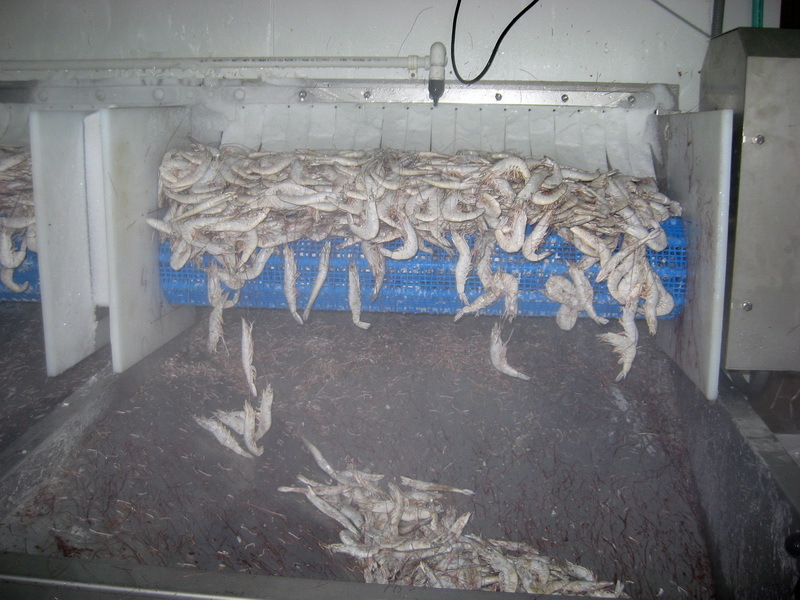 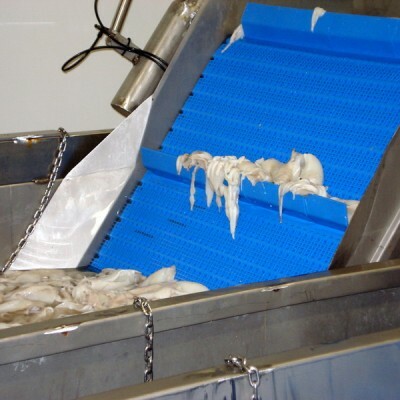 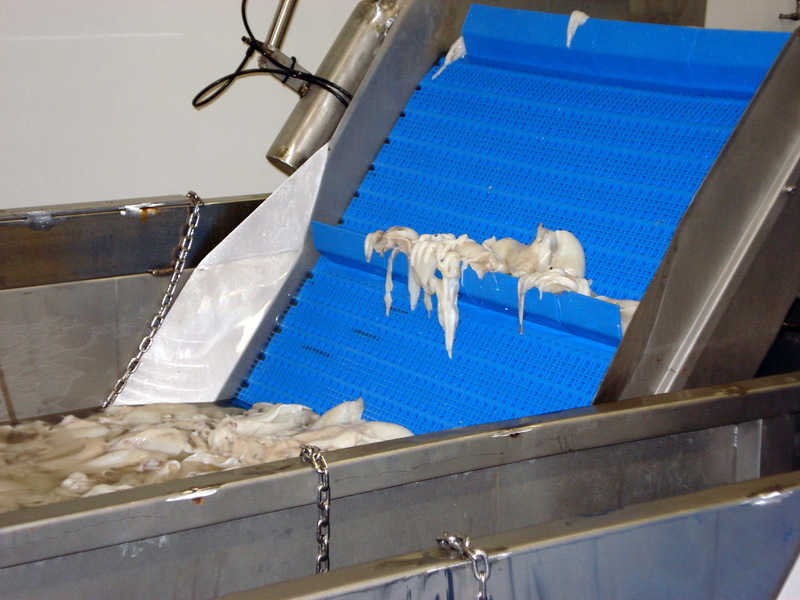 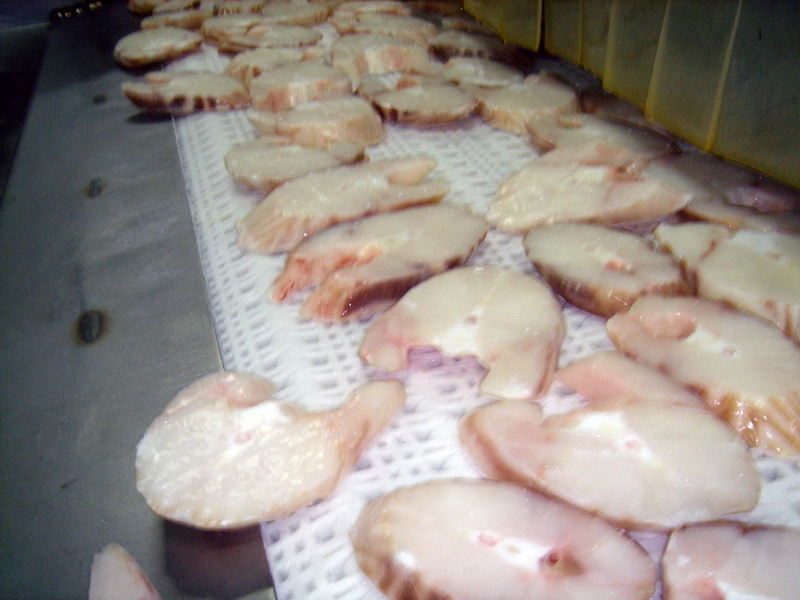 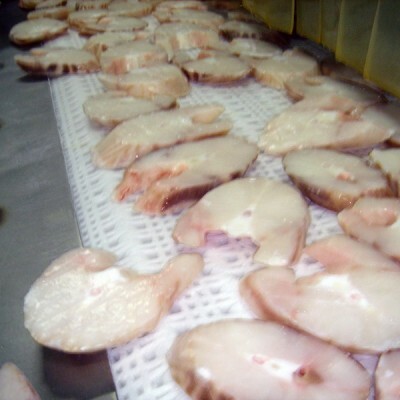 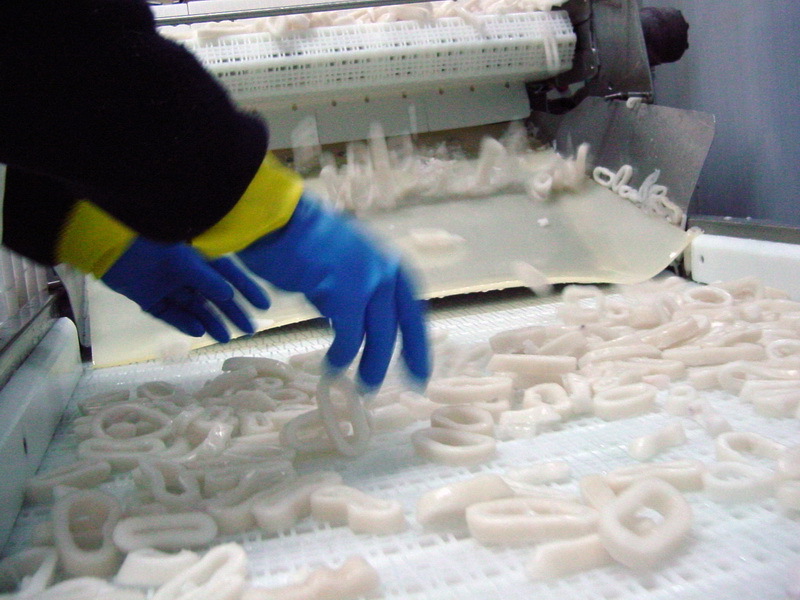 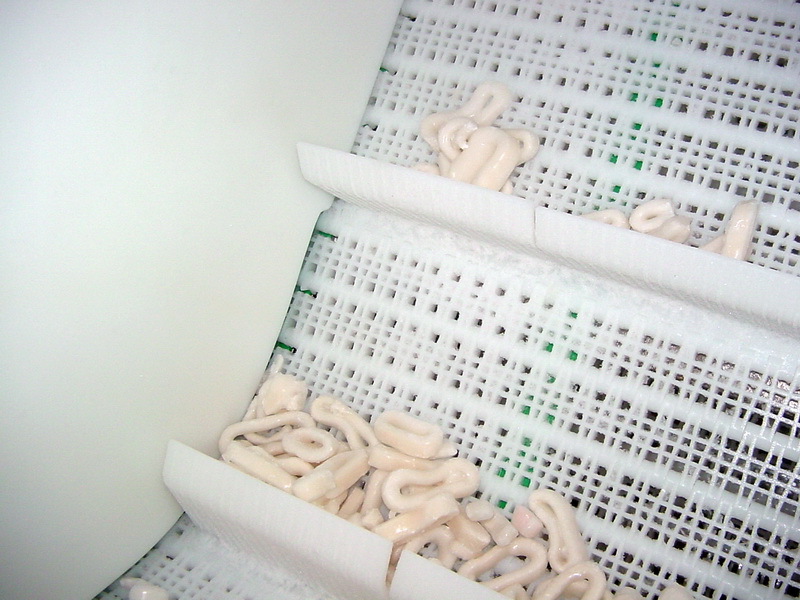 Likewise our C12 belt allows the conveyance of fish fillets without deforming them.